The Blue Cross and Blue Shield of Georgia Peachtree Junior is an event for kids of all ages. 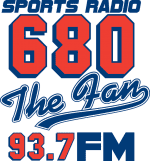 The event, held at Piedmont Park in Atlanta, will feature a 3K timed run for kids ages 7-14, a 1/2K for ages 5-9 and 50m dash for ages 6 & under. The event is designed to offer kids the experience, excitement and prestige of the AJC Peachtree Road Race. After completing the Blue Cross and Blue Shield of Georgia Peachtree Junior, participants are invited to enjoy a post-race festival on the Active Oval including decathalon events such as hurdles, long jump, high jump and shot put. Deadline to register and be timed: 8:00 a.m.
All 3K (only) registrants will be timed and unofficial results will be posted by race number the afternoon of the event. No personal race registration information will be included. If you do not wish to have your child timed, you may peel off the timing device or simply bend it several times. For the safety and enjoyment of all participants, parents are not allowed on the 3K or 1/2K courses. In addition, no headphones, pets, or wheeled conveyances of any kind, including baby joggers/strollers, roller/inline skates, and bicycles, are permitted on the course. Directions to the park and information on acccessing it via foot, car or public transportation can be found here. Atlanta Track Club wants to encourage fitness in children through the Peachtree Junior Challenge scholarship competition. Three group scholarships will be awarded to the schools or nonprofits with the most children registered for this year’s Peachtree Junior events. Additionally, donations will be awarded to schools and nonprofits that have more than 50 children register for the event. Participants must pre-register online and include the name of the school or organization to be eligible for the competition. Save time on race morning and come to early number pick-up at the Atlanta Track Club office Thursday and Friday before the event. Thursday, May 3: 7:00 a.m. - 4:00 p.m.
Friday, May 4: 7:00 a.m. – 1:00 p.m.
Piedmont Park is accessible via both the Midtown MARTA station and the Arts Center MARTA station on the Red & Yellow lines. For directions to the park via MARTA, click here. Limited parking is available in the Sage parking deck (standard rates apply) and residential neighborhoods along 12th and 14th Sts. and Park Drive. Please be courteous when parking and traveling through the neighborhoods. Parking on 10th St. is not recommended. ; carpooling is encouraged. In addition to a 3K, 1/2K and 50m dash, this year’s Peachtree Junior will also feature a decathlon designed just for kids. Experienced athletes will be on hand to give tips and motivate children through ten different disciplines which include high jump, shot put, javelin and hurdles, to name a few. The decathlon will be open to participants ages fourteen and under. Please be sure to complete the emergency contact info on the back of your child's number, using YOUR cell phone number. Please do NOT use a home phone as a contact number. As Kilometer Kids celebrates 10 years, Atlanta Track Club is introducing the Kilometer Kids Youth Running Series which provides children ages 14 and under with 20 events to keep kids moving all year long – 19 of which are free. 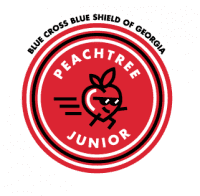 Peachtree Junior is part of the 2018 series. See upcoming events and learn more here!